ItemD-09871 - An Indian tie. ItemD-09829 - "Road House on the Dawson Trail"
ItemD-09830 - "Freighting Between Dawson and White Horse." ItemC-08678 - Leasowes, the home of Mr. and Mrs. Jacob Hunter Todd; 851 St. Charles Street, Victoria, BC. ItemE-08309 - J.E. Underhill photo. ItemE-08310 - J.E. Underhill photo. ItemE-08193 - J.E. Underhill photo. 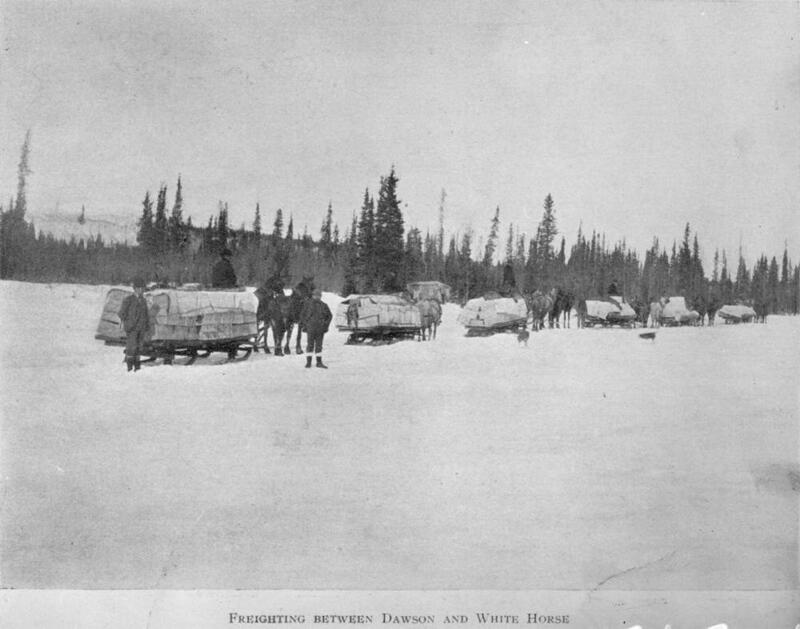 Item D-09830 - "Freighting Between Dawson and White Horse." "Freighting Between Dawson and White Horse."